For eight years, Robert Crew has been the regional manager for the Research Triangle region, with emphasis on Wake County. He also manages relationships with pharmaceutical and biotechnology firms. Robert connects Wake County organizations to the appropriate IES resources. Robert also is a facilitator of the Promoting Business Excellence assessment tool. Robert spent more than 25 years in the pharmaceutical industry with Bristol-Myers Squibb (BMS) and Procter and Gamble. He was responsible for quality, compliance and quality business integration in pharmaceutical, non-prescription drug and cosmetic companies. He has research and development, supply chain, and marketing experience involving the entire life cycle of products, domestically and internationally. Robert represented the industry with FDA as the BMS representative on the Consumer Healthcare Products Association (CHPA) Manufacturing Controls Committee, developing industry stances on proposed regulations and developing courses to address these issues. Robert was on the leadership teams on two new product development reengineering projects that generated more than $5 million in savings and incorporated leadership go/no-go decisions at significant product development gates. He was also on the business leadership teams for Enterprise Business Solutions, Cultural Change initiatives, BMS Corporate Quality Council, Succession Planning, and Acquisition and Divestiture of companies. Robert has a B.A. in Microbiology from the University of Texas at Austin. Robert was involved in the NC Quality Leadership Foundation seminar committee and strategic steering committee during the 1990s while working for Bristol Products in Morrisville. 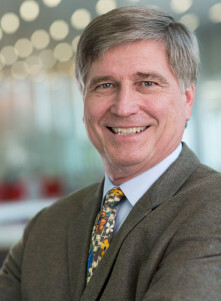 He taught executive leadership for the BMS Executive Leadership Program, presented at International Business Communications (IBC) conferences on outsourcing, and developed and presented the "Validation Makes Good Bu$ine$$ Sense" program for CHPA.